The 2019 Range Rover Evoque had its world debut in London last week. Here's a pictorial comparison between the (facelifted) first generation model and the second generation model. 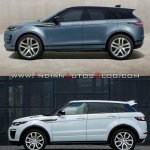 The second generation Range Rover Evoque features an evolutionary design with cues borrowed from the Range Rover Velar. The second generation Range Rover Evoque is a sophisticated evolution of the original. 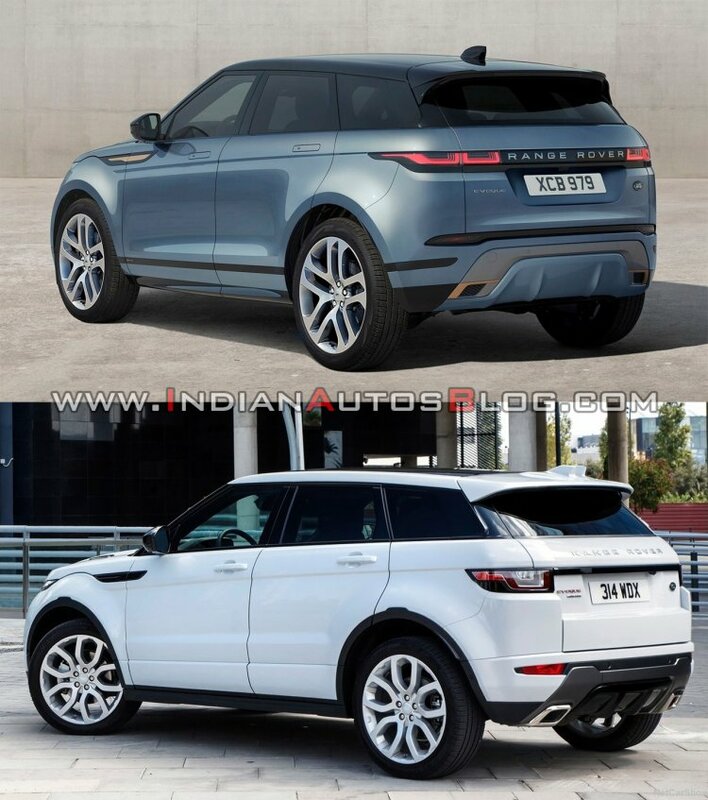 It basically looks like a mini Range Rover Velar, and that’s particularly because of the lamp graphic of the super-slim Matrix LED headlamps, the new radiator grille design, the front bumper blades with copper-coloured detailing, the flush door handles, the slimmer rear combination lamps and the striking black accent covering the width of the rear. Inside too, the baby Range Rover follows its footsteps by having an uncluttered, minimalist and digital cabin. A lot of parts, from the dashboard to the steering wheel, the instrument cluster, the centre console and the floor console, have Velar written on it. 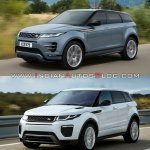 The urban SUV’s footprint is almost identical to the original. However, it offers 20 mm more kneeroom in the rear, thanks to the 21 mm longer wheelbase (2,681 mm). The boot space is also 10% larger (591 litres), and a reason behind that improvement is the compact design of the Integral Link rear suspension. Folding the rear seats, the luggage space increases to 1,383 litres. For it’s a Land Rover afterall, talking about the off-road capabilities is a must. The company has increased the wading depth by 100 mm to 600 mm and introduced Terrain Response 2 and ClearSight Ground View. 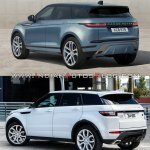 The 2019 Range Rover Evoque has an uncluttered, minimalist and digital cabin, with lots of Range Rover Velar influence. Terrain Response 2 includes an Auto mode that selects the most appropriate mode for the current driving conditions and automatically adjusts the torque delivery to suit the terrain. ClearSight Ground View (demonstrated in the video below) is the realisation of the Transparent Bonnet technology previewed at NYIAS 2014. It displays a 180-degree camera view of the front underside of the vehicle onto the upper screen of the Touch Pro Duo 10-inch dual HD touchscreen infotainment system. This provides the driver more confidence when tackling rough terrain, negotiating difficult parking spaces or navigating high city-centre kerbs. In the configurations equipped with a 48V mild-hybrid system, the engine shuts off at speeds below 17 km/h, reducing the fuel consumption and tailpipe emissions. The energy harvested during deceleration is stored in a 48V underfloor battery and is used to provide up to 140 Nm of additional (electric) torque. 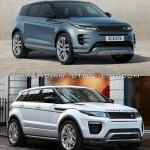 A plug-in hybrid powertrain for the entry-level Range Rover model is in the works, and it will follow next year. Also planned for a phased rollout in 2019 is a new three-cylinder Ingenium engine. 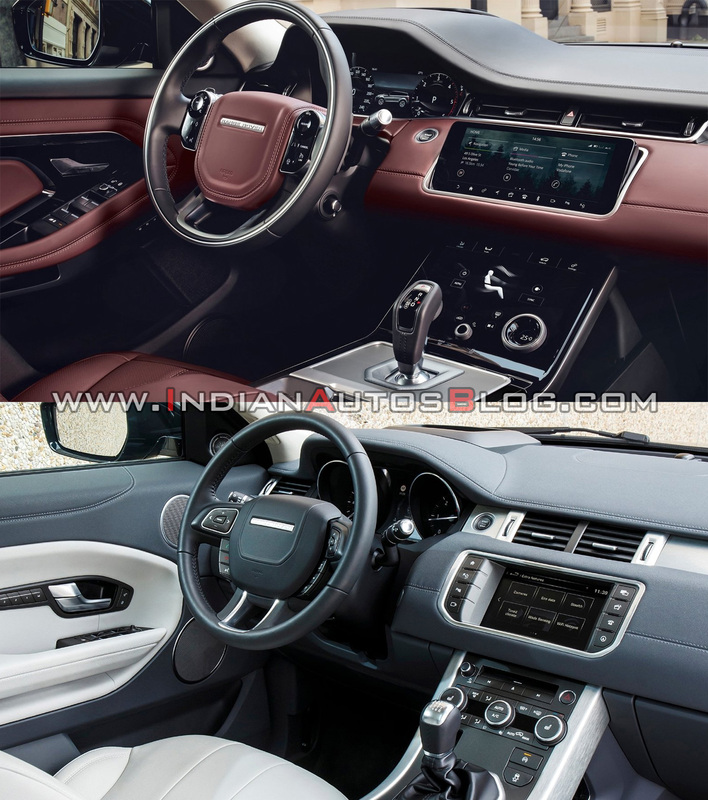 The 2019 Range Rover sits on the Premium Transverse Architecture (PTA), a substantially upgraded version of its predecessor's D8 architecture. 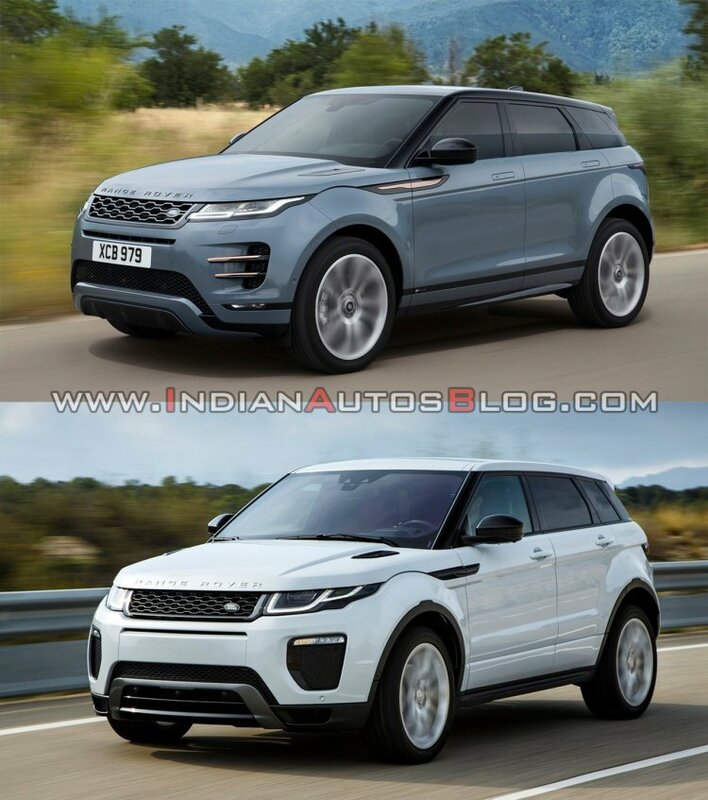 In India, the all-new Range Rover Evoque may go on sale in the second half of 2019. 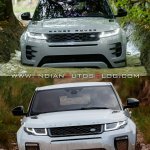 One reason it may take a little longer than other Range Rover models is that Land Rover will need to prepare for its local assembly from the get-go.